Clare Mount trains 58 primary teachers in how to include all young people in their PE lessons. 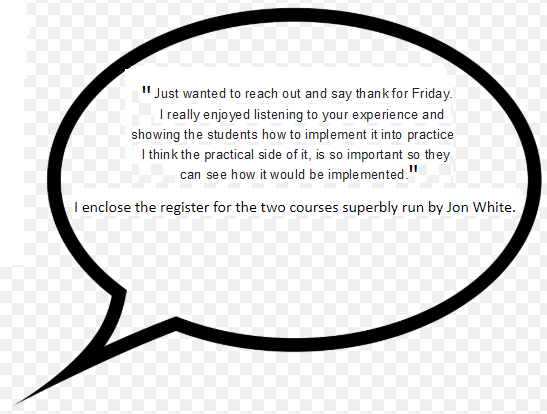 Mr White trained 58 primary school teachers training at Edgehill University on Friday October 12th. The teachers are at schools on their final placements. 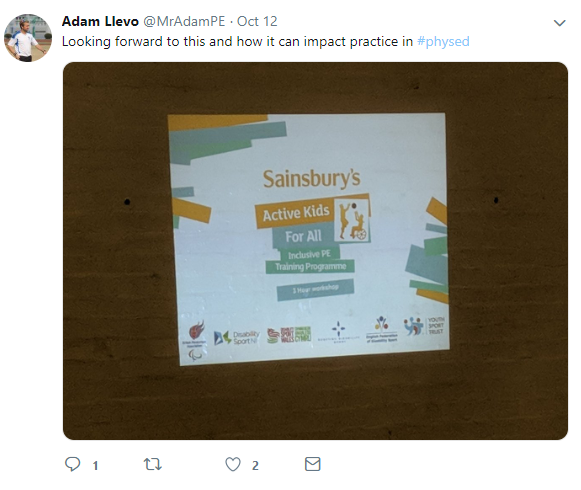 The Sainsbury’s Active Kids For All Inclusive PE Training programme (https://inclusivepe.org.uk/) is a 3 hour course that shows teachers how to adapt and differentiate their lessons to include all young people, to give all young people the opportunity to progress in PE and Sport. 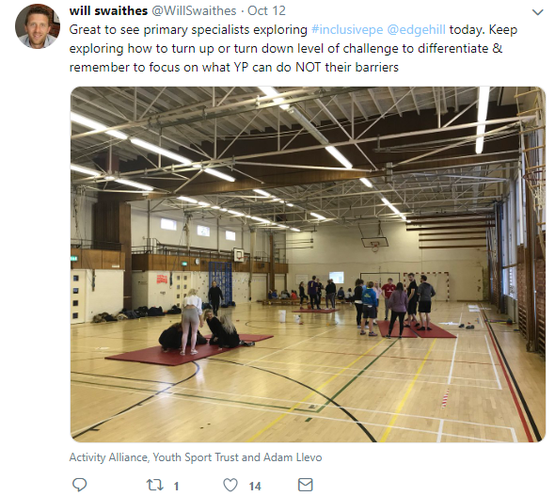 Over 80% of young people with SEND are in mainstream schools and the teachers will now have the confidence and competence to be able to make PE accessible to all. Please watch the Inclusion video to see how Clare Mount would like all schools out there to approach Inclusion.